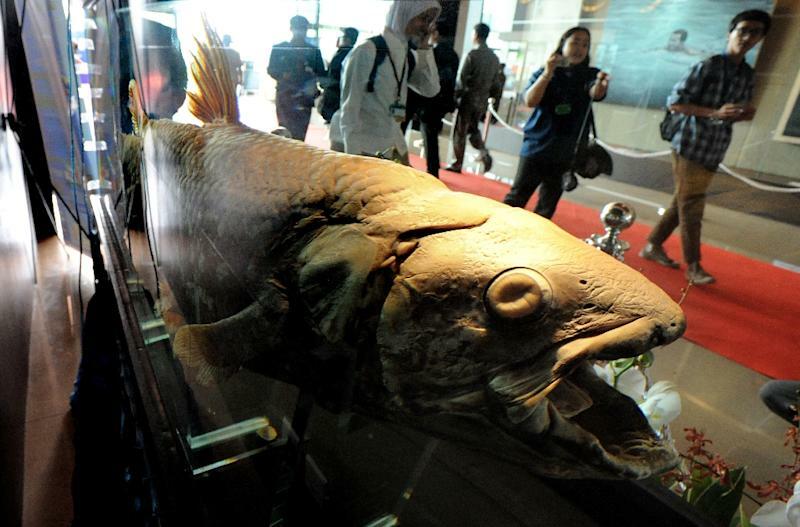 Paris (AFP) - The coelacanth, an elusive deep-sea dweller long thought extinct, had another item added Tuesday to an already-long list of unusual physical traits: an obsolete lung lurking in its abdomen. Similar to the human appendix, the organ was likely rendered defunct by evolution, researchers noted in the journal Nature Communications. Like all fish, today's coelacanths -- referred to as "living fossils" -- use gills to extract oxygen from the water they live in. But millions of years ago, coelacanth ancestors probably breathed using the lung, the team concluded. 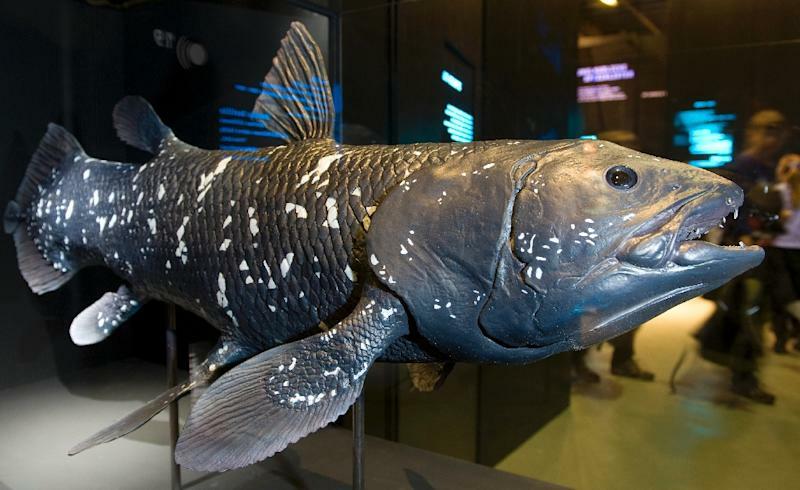 "By the Mesozoic Era, adaptation of some coelacanths to deep marine water, an environment with very low variations of oxygen pressure, may have triggered the total loss of pulmonary respiration," co-author Paulo Brito of the Rio de Janeiro State University told AFP. This could explain how it survived the extinction event 66 million years ago that wiped all non-avian dinosaurs and most other life from Earth -- and probably those coelacanths inhabiting shallow waters, he said. It would also account for "the marked reduction" of the lung into its shrivelled, present-day form, Brito said by email. Coelacanth fossils have been dated to about 400 million years ago, and the fish was thought to have died out towards the end of the Mesozoic era, which stretched from about 250 to 66 million years ago. But then one was caught off the South African coast in 1938, earning the coelacanth the title of "Lazarus taxon" -- a group of animals "resurrected" from extinction. A few other individuals have been found since, as well as members of a cousin species off the coast of Indonesia, but the coelacanth is considered endangered. It is a queer fish in many ways. Key among its quirks, it has paired, "lobe-shaped" fins which move in an alternating pattern similar to a four-limbed land animal -- sparking speculation that it may have been a member of a group of fish that first crawled onto land to evolve into animals with legs. The grey-brown fish can grow up to two metres (6.5 feet) in length, weigh as much as 91 kilos (200 pounds), and may live up to 60 years. It has a hollow, liquid-filled spine, enamel-capped teeth, and a hinged jaw that allows it to open its mouth wide to swallow larger prey. Little is known about how they live, what they eat, how they reproduce, or how many of them are left. The new discovery was based on dissections and scans of infant and adult coelacanth samples, as well as 3D reconstructions, said Brito. The team found that the disfunctional lung is proportionally much larger in the coelacanth embryo than the adult, meaning that growth of the organ slows as the fish gets older.